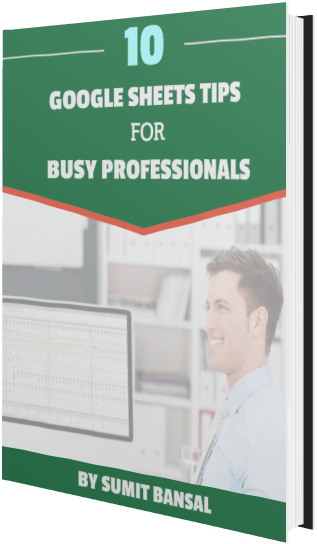 Fill handle in Google Sheets can save you a lot of time when doing data entry or working with data. It works by recognizing a pattern and then allows you to quickly use the pattern to fill down the data. What is Fill Handle in Google Sheets? When you select a cell or a range of cells, you will notice a small blue square at the bottom-right of the selection. This square is the fill handle. Now you hold the left mouse button and drag it down. It will fill down the data to all the cells that till while dragging. Fill handle can help you speed up data entry. Here are some of the examples where you can quickly fill down data using fill handle. As shown in one of the snapshots above, you can use fill handle to fill down the data when there is a pattern. For example, if you have 1 and 2 in two consecutive cells in a column, you can use fill handle to get other numbers in the series (3,4,5 and so on). Similarly, if you have a pattern where the number increments by .5 (as in 1, 1.5, 2), then you can get other numbers in this series by using the fill handle. If you want to get the serial numbers with alternate blank rows, you can do that using the fill handle as shown below. Similarly, if you want the blank row after every two numbers, have the numbers in first two cell, have the third cell blank, and select all three and drag the fill handle. You can easily fill the month names in cells using the fill handle. 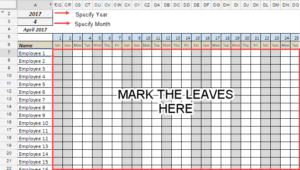 All you need to specify is the month in the first two cells. This is needed as Google Sheets needs to understand the pattern. For example, if you want the names of the months, enter January in first cell and February in the cell below it and fill down. Note that if you go beyond 12 cells, the months would repeat. So after December, it will start with January. Note that this works as Google understands January and February as months. You can do the same with the shortened names of months such as Jan, Feb, and Mar. Note that after Dec 2018, it moves to Jan 2019. If you have data in a column, then you can also double-click on the fill handle to fill down. It will fill the data up to the point where there is data in the adjacent column. Below is an example where the month name is filled to 10 cell as there is data uptill ten cells in the adjacent column. In the same way, you can also use it to fill down formulas. In the case of formulas, if relative references are used these will automatically adjust itself (just like it does when you copy paste data. 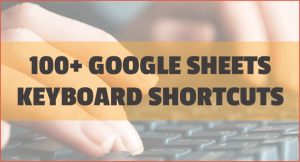 How to Insert Bullets in Google Sheets. 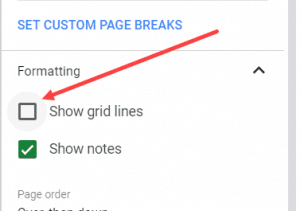 How to Create a Drop Down List in Google Sheets. How to Sort Data in Google Sheets. How to Remove Duplicates in Google Sheets. 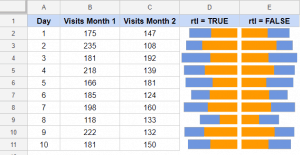 How to Quickly Insert Multiple Rows in Google Sheets.